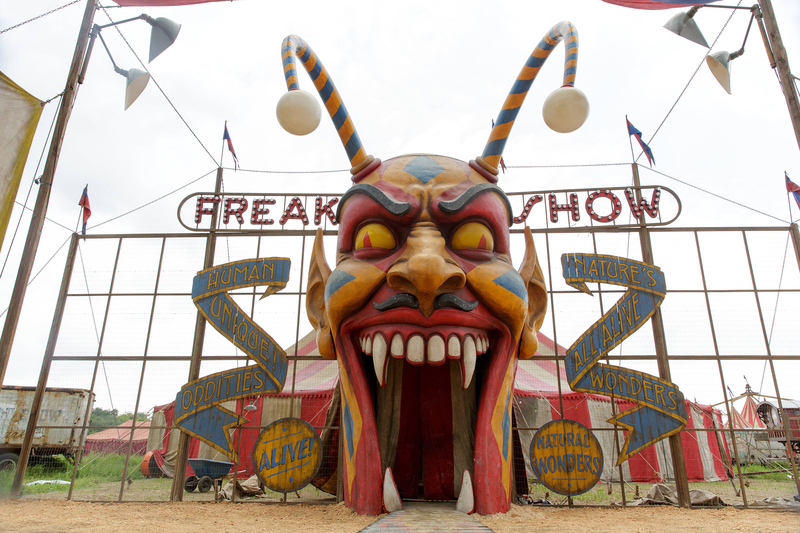 AHS Freak tunjuk 4x01 promotional picture. . HD Wallpaper and background images in the American Horror Story club tagged: photo american horror story freak show circus. This American Horror Story photo might contain tiang totem and totem kutub.